Crochet Winter Festival… Fun for all!! I am so excited to announce a very special crochet surprise!!! 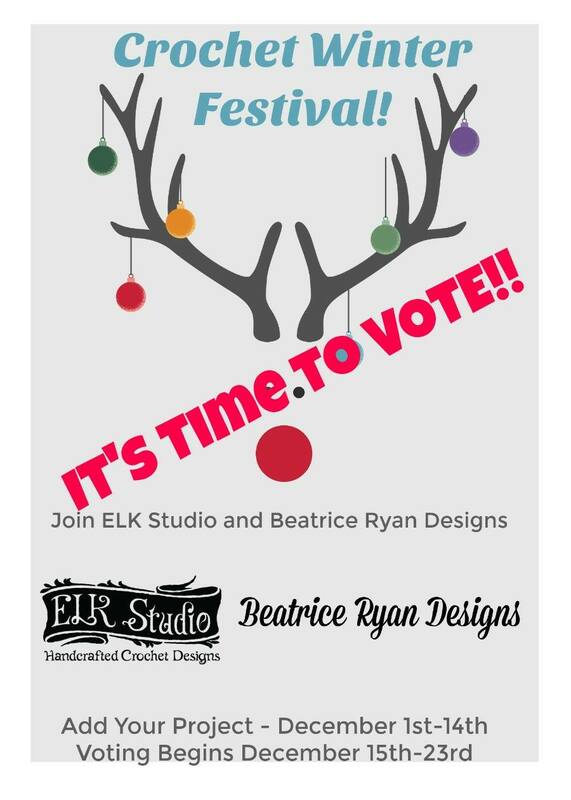 As many of you know… Kathy from ELK Studio and I are really dear friends… We were chatting a while back about going to fairs and festivals and looking at all the fabulous crochet projects in competitions that have lovely ribbons for placing as a prize-winning project!! We came up with a great idea… are you ready?? Starting December 1st, we are joining together to present a fun-filled, online Crochet Winter Festival! Be sure to head to the bottom of the post for all the details… And, of course we will have prizes involved!! So don’t miss out! What exactly does that mean? Imagine taking your lovely crochet items and entering them in a fair for all to see… and a chance to win a prize! We thought it would be fun to sort of do an “on-line” Winter Crochet Festival where people can enter their latest projects, and you can do it all from the comfort of your home. Of course, there are prizes to win and those will be announced on the December 1st kickoff! You can read more about the details below. Entries will be received until the submission deadline of December 14th, 11:59 pm CST. Voting will begin on December 15th at 12:05 am CST. Kathy and I hope you’ll get excited and finish up those fabulous projects! Be sure to take great photos too! 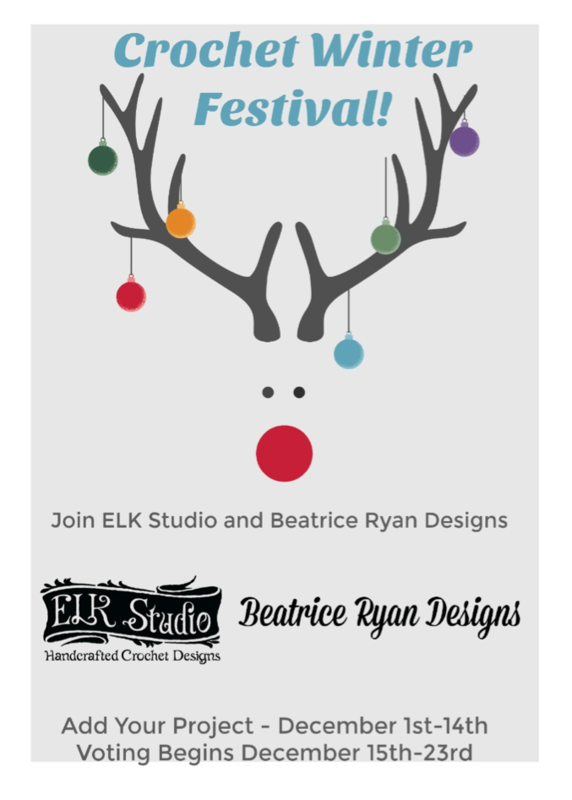 Once the Crochet Winter Festival kicks off, Elk Studio and I will be here to help answer your questions! Happy Crocheting… And stay tuned on December 1st for the party to begin! !